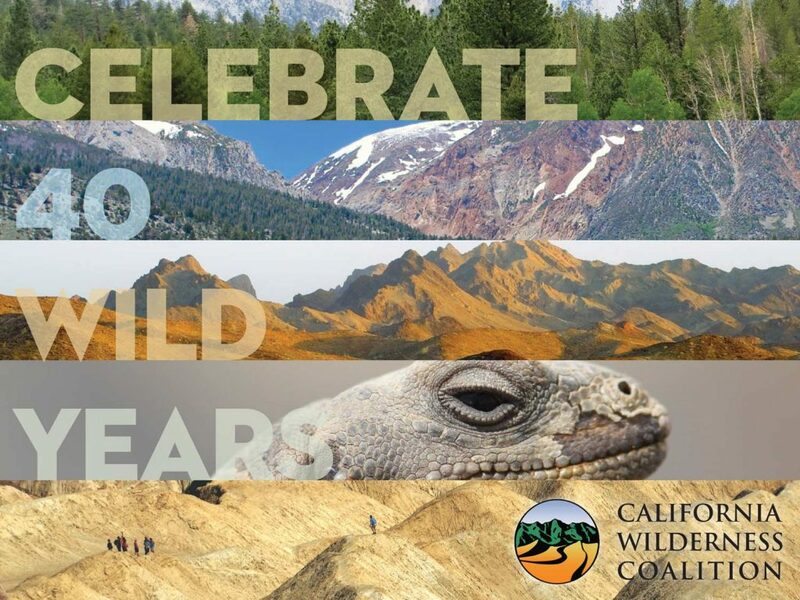 One of The Next Generation’s ongoing clients is the California Wilderness Coalition (CalWild). 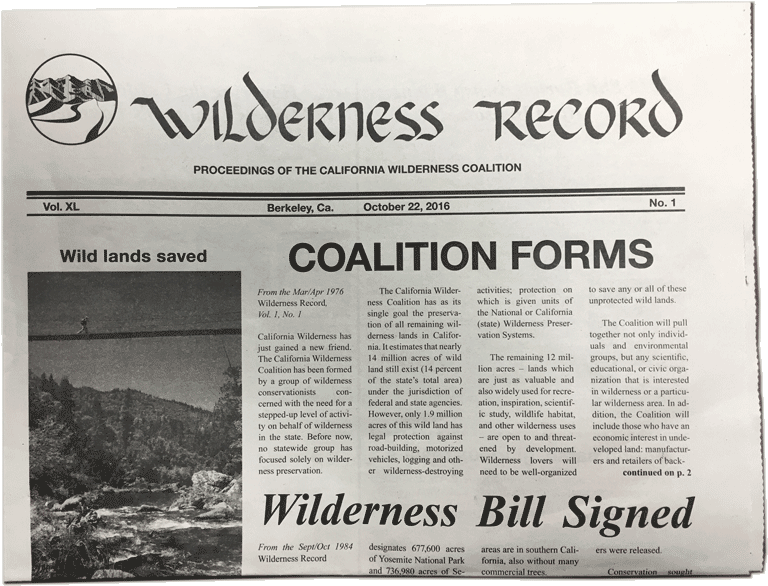 CalWild celebrated their 40th anniversary in 2016 by holding a fundraising event in October. Finally, I designed a retro-styled newsletter, completely faithful to the original look and feel of their printed newsletter, for handout at the dinner and mailing to donors. It contained graphics that were originally used in their newsletters of the 1970s.